As a Hamburg resident in the early 1920s, you might have been lucky enough to witness the brick-by-brick assembly of Fritz Höger’s Chilehaus building, rising up like the prow of a battleship over the corner between Niedern and Pumpenstrasse. 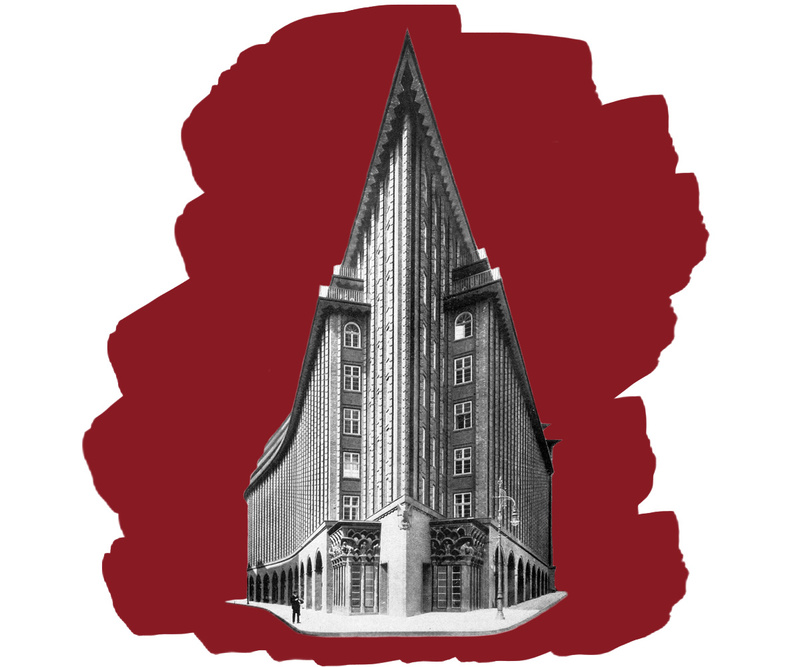 Höger’s structure was to become the shining example of Brick Expressionism, an architectural movement parallel to expressionist programmes in the arts and theatre that took its name from the high-fired clinker from which its buildings were constructed. These new projects were characterised by towering, monotone brick facades. Variation was achieved through setting bricks in dynamic patterns or in sharp, rotating arrangements that projected out from recessed walls. Even the materials themselves lent variety: ranging in colour from russet to soot, the unrefined clinker bricks were naturally pitted and scarred; often damaged and misshapen bricks were purposefully chosen to add to the decorative variation. 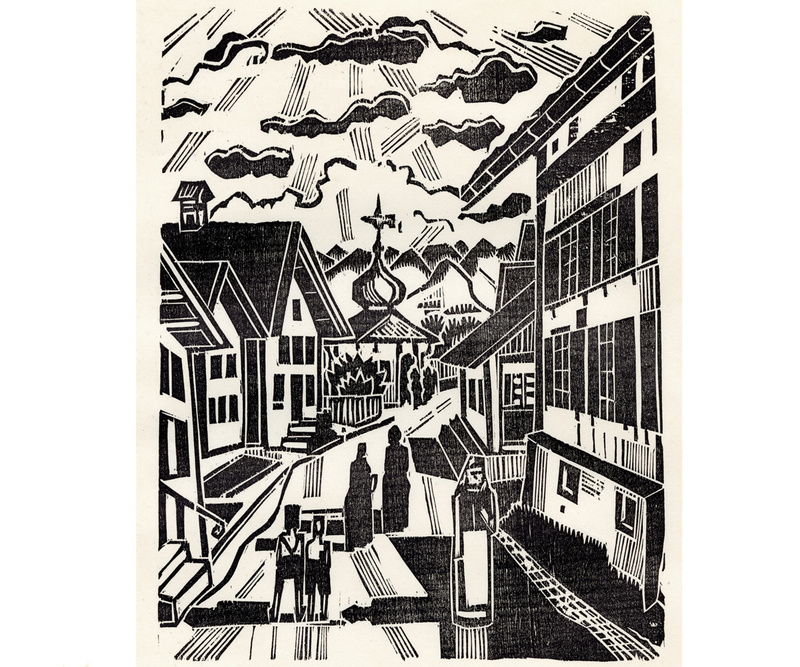 To the local Kunstbund artists contributing to Kündung, what would be Hamburg’s last great Expressionist periodical, this new style of architecture must have resonated fiercely. 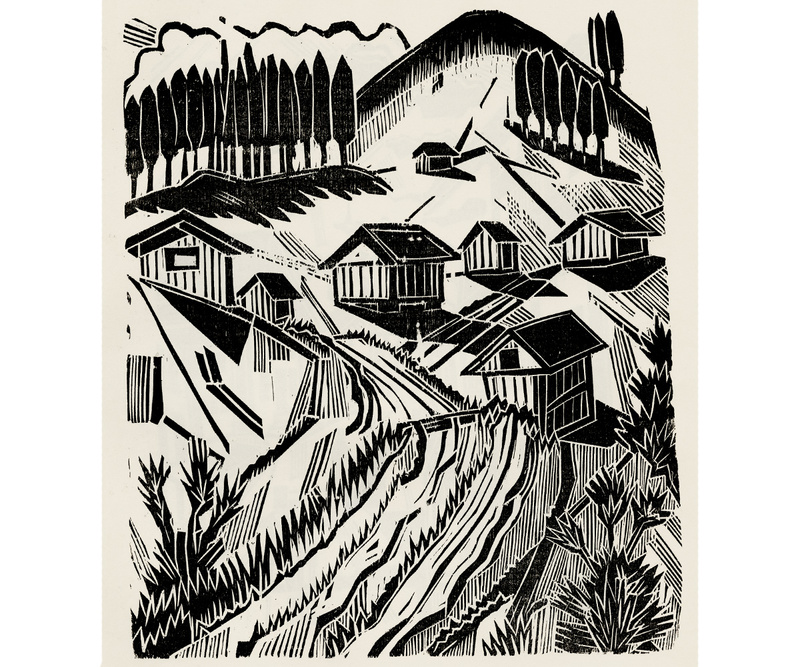 They too were working in monochrome, with black and white woodcuts cut roughly by hand. They relied on the naturally variegated grain of the woodblock to lend surface texture, much like the defective clinker. And while they sought a wild, jagged, primitive quality to each cut, treating the three-dimensional surface of the block like totemic sculpture, this harshness was tempered by a strict structural ordering of individual components; deliberate, purposeful – even architectural – composition. Perhaps more importantly, the emergence of this new kind of building reaffirmed for the Hamburg Expressionists that their movement represented not just a repeal of the past, the rejection of the bourgeois academism that had stifled the arts for so long; it could forge a new vision for society, form the basis of a new, spiritually fulfilling aesthetic to take them into the future. This was the birth of Kündung, the brainchild of Rosa Schapire and Wilhelm Niemeyer, leading academic luminaries of the Expressionist movement. The journal was founded as an adjunct to the recently established ‘Kunstbundes Hamburg’, a federation of local artists, writers, and patrons who promoted lectures and exhibitions of modern art. 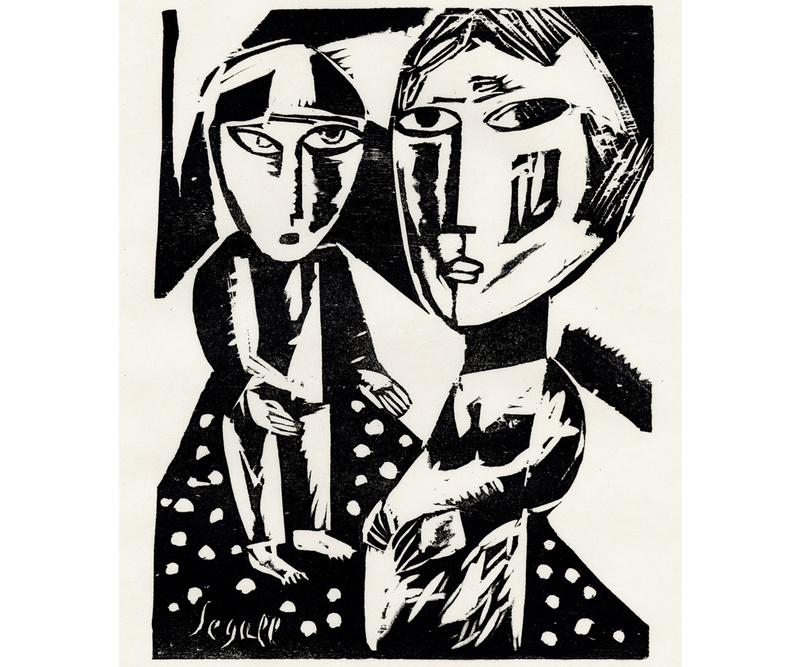 Subscription to the journal would secure funding for the membership, and its editors were wildly ambitious: the print run would be kept luxuriously low at just 200 copies per run, raising the annual fee per Kunstbund member to a substantial 200 marks – almost ten times that of the equivalent Expressionist publication in Berlin. It was to be a large and lavish affair: short stories, lyric poetry and critical essays typeset in ornate Gothic scripts, all accompanied by printed woodcuts and lithographs by a host of contemporary artists. Its title – meaning ‘Proclamation’ – announced the journal’s revolutionary spirit: Kündung heralded a new era of Expressionist art, poetry, and criticism, one that drew on the vitality of ‘primitive’ and Cubist art, and which would reinvigorate contemporary culture through a fusion of the figurative and the abstract (one issue even featured photographs of African tribal masks and sculpture as an indication of their influence). The diverse subjects and styles within bore witness to the period of post-war flux in which Germany found itself. 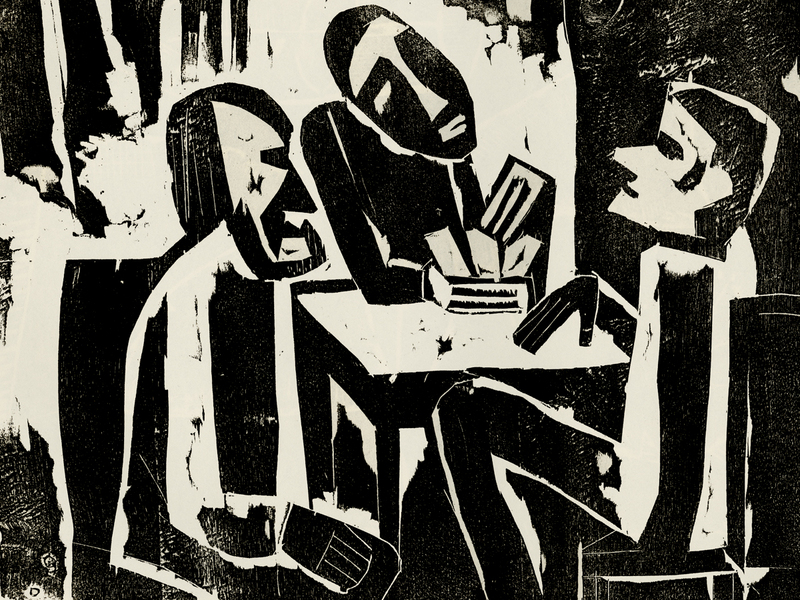 A number of woodcuts reveal disillusionment with a corrupt and morally and financially bankrupt society: the wailing couple of Radziwill’s ‘Liebesgram’ (the ‘Sorrow of Love’), or Robert Huth’s ‘Table Companions’ (‘Tischgenossen’) playing cards in a dejectedly empty bar (both artists were drafted during the First World War, Radziwill as a paramedic, Huth as a combatant who experienced capture and detention at the hands of the British Army). Others offer a more optimistic vision: children recur as a prominent motif, most especially in von Ruckteschell’s spiralling ‘Strollers and Children’ with inclining hills, its dizzying, gyro movement grounded by the upright mother figure in the central foreground. 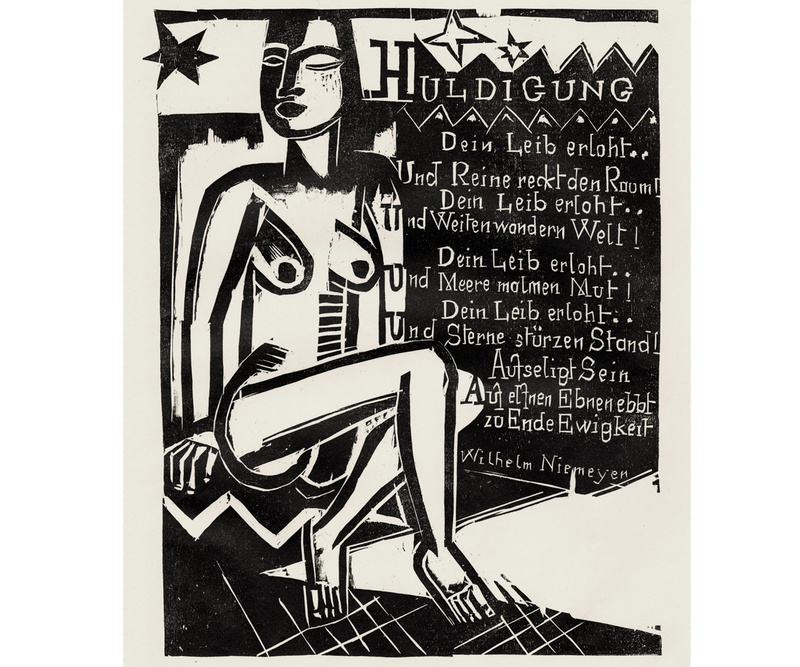 Scattered throughout the text alongside these full-page prints were numerous ‘Wortbilder’ – ‘word-images’ – the great majority of them cut by Karl Schmidt-Rottluff. 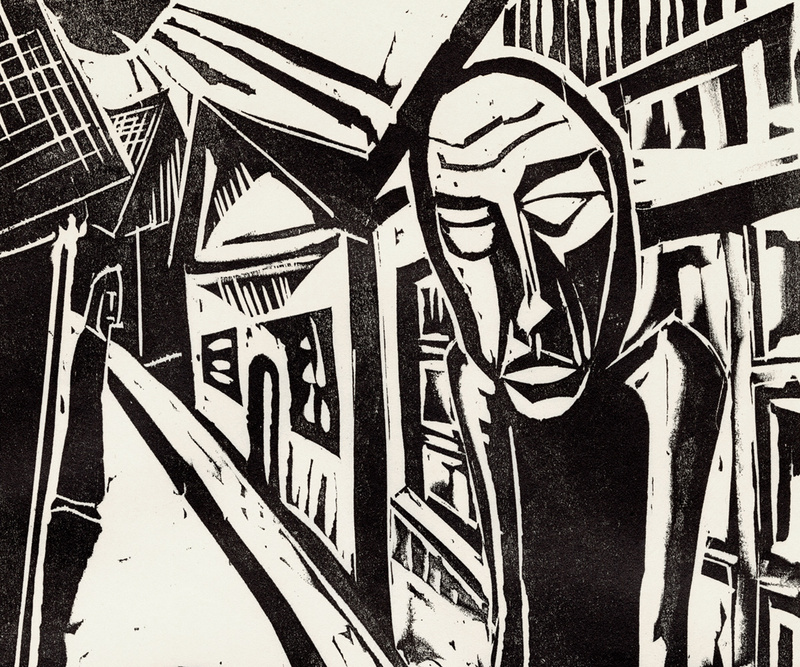 Schmidt-Rottluff had been a founding member of the Brücke group in Dresden in 1905, one of two major early Expressionist movements, and his contribution to the journal was critical to its success. Niemeyer had been an early champion of his work, and through his relationship with the artist had built up a substantial collection of his paintings and prints. 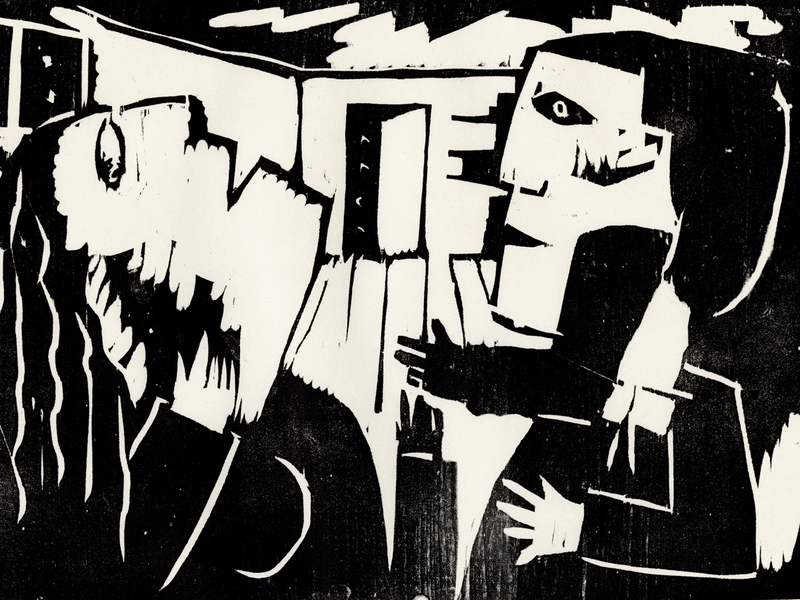 His support continued in Kündung, with a written analysis of Schmidt-Rottluff’s art and the ‘Befremdung’ – ‘Astonishment’ – that he saw at the core of his and his fellow Hamburg contributors’ work, exemplified by their bold, plain blocks of colour and their primitivist abstraction of essentialised figures and forms. 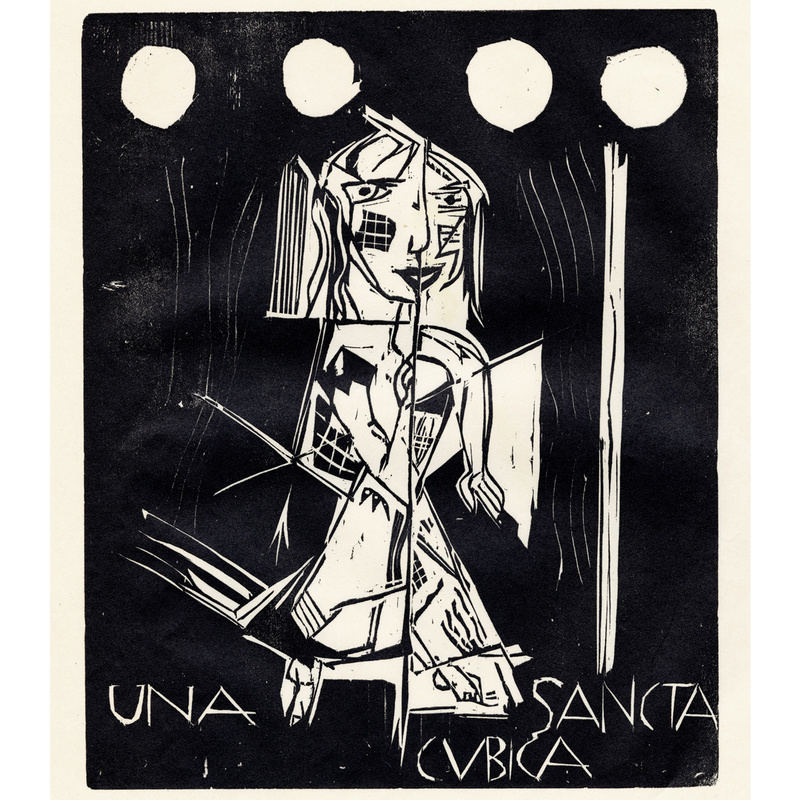 Niemeyer’s vision for the journal included ongoing experimentation with typography, an aspect in which Kündung exceeded all other Expressionist periodicals of its day, and it was Schmidt-Rottluff to whom he would turn for guidance. 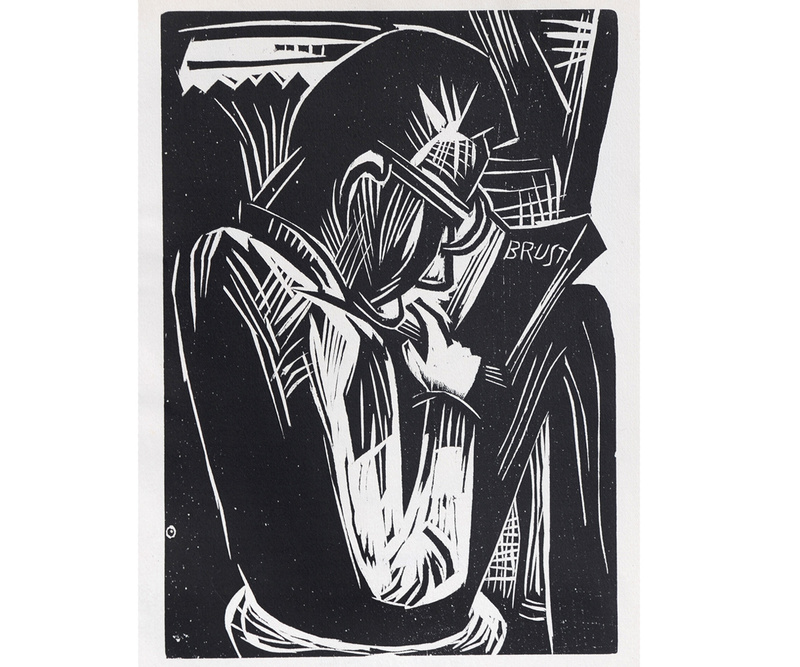 Cutting individual letter forms to be laid throughout against typeset text, Schmidt-Rottluff was also responsible for the journal’s powerful title page, a tumbling, typographic tour-de-force printed over different colour-blocks for each successive issue. Printing took place in the technical studios of the Staatliche Geweberschule where Niemeyer lectured. 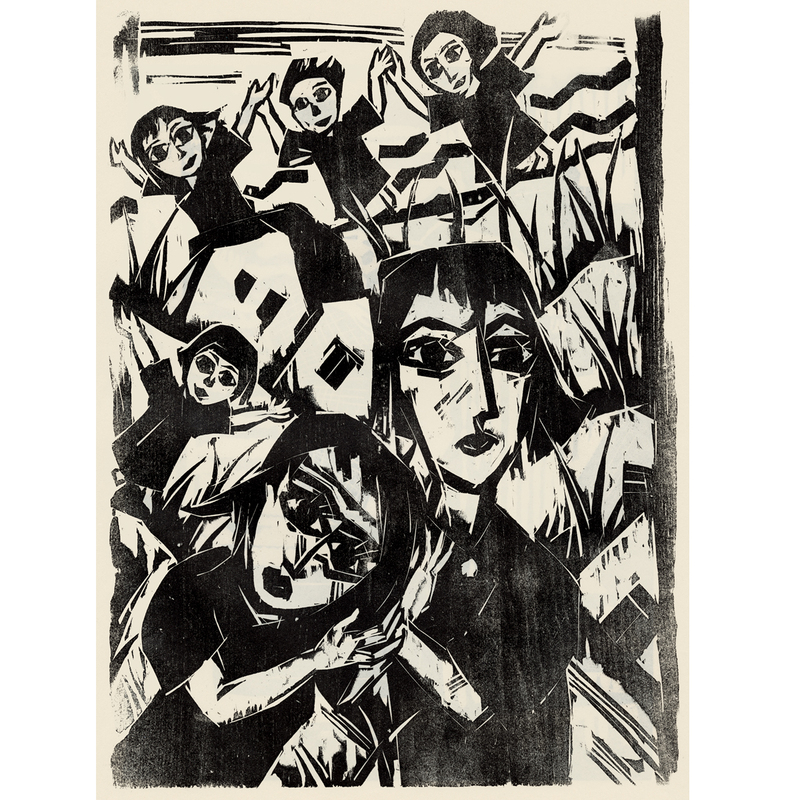 The quality of the impressions, combined with their ‘extraordinarily low’ print run, made Kündung the foremost publication of its kind, as noted by German Expressionist expert Timothy Benson: ‘This exemplary printing facility and the substantial Kunstbund funding made possible one of the most sumptuous Expressionist periodicals combining poetry and art.’ A collective triumph of design, it was also the last Expressionist periodical to be published in Hamburg – an extraordinary undertaking cut short by the ruinous financial collapse of the Weimar Republic. Hyperinflation throughout Germany soon killed off the deluxe journal. Having premiered in January of 1921, it ran for just twelve issues before production was suspended and the publication folded. Since its release, many of its lesser-known contributors have faded into obscurity. 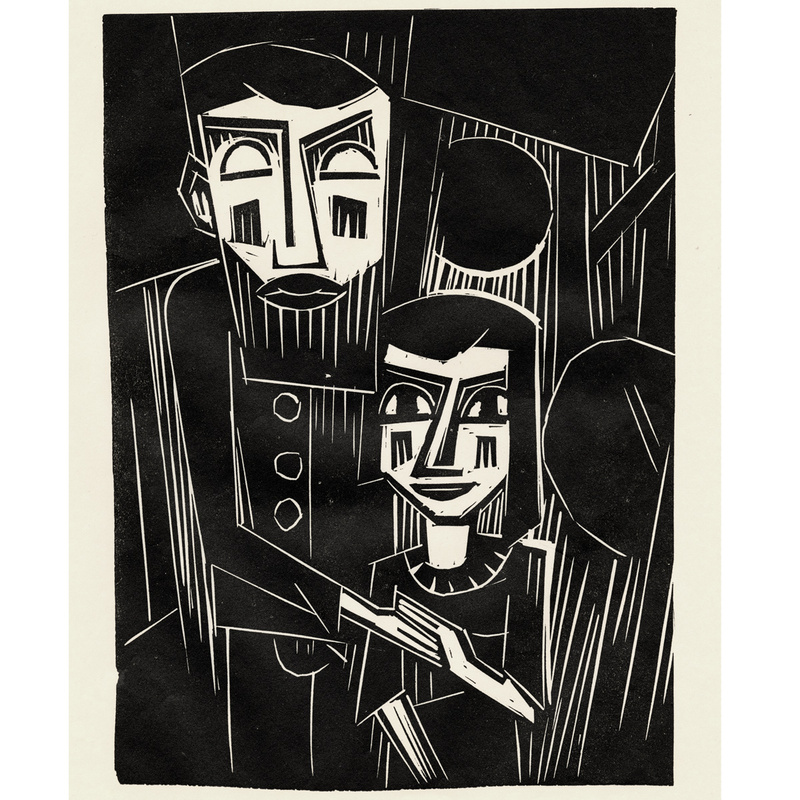 The few editions that have survived reveal a host of unfamiliar names that prove the rich breadth of the Expressionist movement, and the particular strength of its Hamburg branch: Emil Maetzel and his ‘Blind Father’ (‘Der Blinde Vater’), symbolically isolated in the black block through a minimalism of incised white lines, his hand held tenderly by his young daughter whose sharp black eyes mirror her father’s unseeing white sockets; or the two village-scapes of Wilhelm Tegtmeier which, despite their rural subject matter, reflect the urban influence of the local Brick Expressionist buildings in their intricately gridded, patterned cuts.